Ginger Pozzini brings Italy to life for her clients. 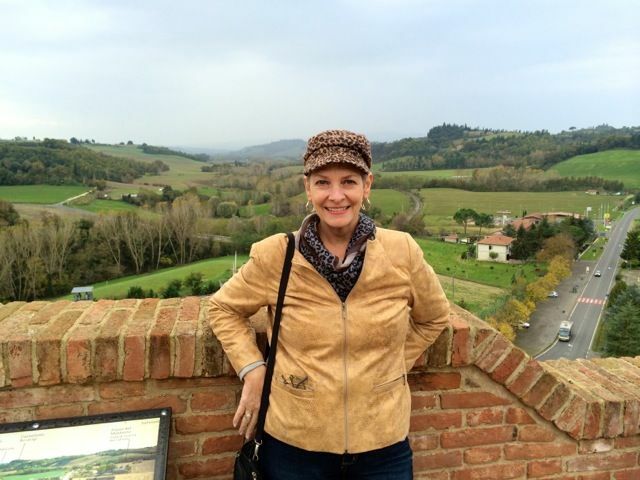 After 30 years of traveling through, living in and loving Italy, Ginger’s personal knowledge and passion for the country serves clients desiring an authentic Italian experience. As an Italian Travel Specialist, Ginger dedicates herself only to Italy. She understands the Italian rhythm of life and guides her clients in designing an itinerary that balances desired bases, travel pace and experiences. She understands the importance of the bases to live out your Italian adventure and can guide you through different experiences derived from renting an apartment in Rome, staying in a hotel in Venice or living in a farmhouse in Tuscany. Ginger has created personal relationships with property owners and managers, private guides, chefs, wine sommeliers and private drivers, giving her clients a more local and authentic experience. Ginger’s background in leadership and organizational coaching provides her with the skills and expertise to match up the needs of the travelers, anticipate any challenges and proactively address any concerns or potential issues around travel to Italy. Through a unique non-traditional travel guidance and coaching process, Ginger delivers customized itineraries, unique experiences and creates simple, effective tools to prepare travelers for their adventure. Whether visiting historical sites, touring wineries, cooking at the elbow of an Italian chef, driving through medieval hilltowns or visiting a local festival or market, Ginger guides clients to feel comfortable immersing themselves in the culture and the country. Clients have confidence that they have chosen the right region and city, the best pacing and the right experiences to fulfill their dreams of Italian life. And they can rest assured that every little detail has been managed by Ginger herself. Designing Italy offers a variety of services based on your needs and delivers itineraries that save you time, maximize your budget and help you create memories of a lifetime. People who work with Ginger say she has a contagious passion for Italy, valuable insight, great listening skills and unlimited resources allowing her to step into her traveler's shoes and support them in planning their trip of a lifetime. For testimonials from other travelers who have worked with Ginger visit her Travel Stories. Ginger is also an amateur photographer and hand paints black and white photos. You can see some of her Italian works in the Hand Colored Italy Gallery. Ginger, husband and Italian travel partner Mark, and their Golden Retriever Isabella live in a country home in Newport, Minnesota where she is the principal of her successful business. Read more about how it all began.